Brian Ortega last stepped inside the octagon in the main event of UFC 231, on December 8, 2018, where he took part in a fantastic fight against current Featherweight champion Max Holloway. Ortega lost the bout via TKO because the doctor didn’t let him continue after the fourth round. “T-City” was badly beaten and suffered nasty injuries in this match. Brian Ortega received a prolonged 6-month medical suspension and later underwent surgery to fix the broken nose. But despite he still recovers from injuries, the former RTC and RFA 145-pound title holder Ortega already targets the potential rival for his next fight. He is interested in meeting the former Featherweight WEC and UFC champion Jose Aldo. In January of this year, Jose Aldo stated he intended to fight three more times in Brazil and hang up his gloves by the end of 2019. Jose Aldo finished Renato Moicano via second-round TKO in the co-main event of UFC Fortaleza, on February 2, 2019. A few days later, Aldo’s coach and manager Andre Pederneiras said Alexander “The Great” Volkanovski sounded like a perfect rival for “Scarface”. So, for now, all cards are opened. 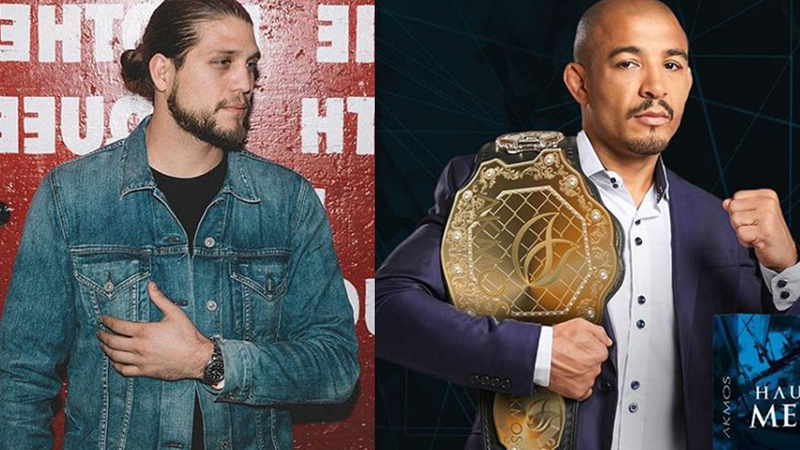 Would you like to see Jose Aldo Vs Brian Ortega? Who will win if UFC approves this fight? Report: Jose Aldo Meets Alexander Volkanovski At UFC 237!